Completed 2002. Another panel designed for the Alexis Park Inn & Suites in Iowa City, IA. 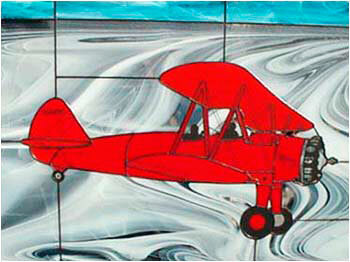 This represents the innkeeper’s (Mary, on the engine cowl) favorite plane in her favorite color.